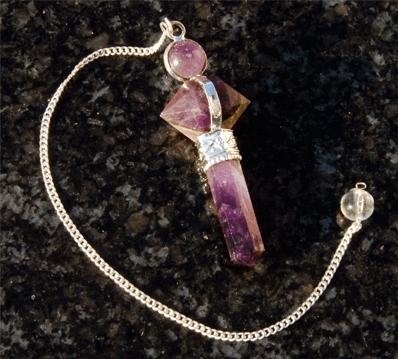 Pendulum dowsing is an ancient art that exists for over 6 thousands years which is also called divining. It has the ability to foresee the future and give us information that we don’t know. It is seldom requested by clients and is highly belittled. Dowsing offers you to connect to an innermost wisdom; it can be a fun and simple way to begin to measure energy fields and is an excellent way of speaking directly with our intuition. The term “pendulum dowsing” is often used to refer to the search for specific targets, while the term “pendulum divining” is most often used in reference to seeking precise information. Plus… … just to confuse you more (ha-ha) there are also those who study “Cosmopathy” which is study and experimentation using pendulum dowsing, pyramid energy, and cosmic rays. There are also some New Age believers who use pendulum dowsing as a communication tool with their Spiritual Guides. However, today, we are concentrating on something that is so simple and accurate; once you get started you will be using it all the time – ‘Pendulum Dowsing”. So what can be used for a Pendulum? Well anything can be used that you can hang on a string or chain or even the chain itself. I find that I don’t just use one thing; I use one of my gold chain bracelets or necklaces, even my very old gold cross. You will find once you start dowsing, you will get a feel for what works for you. I have even used my bunch of keys on my key ring, when in a Supermarket to ask a question as I had forgotten to wear my gold chain. You know when I first started dowsing, I thought I had to follow hard and fast rules, but I have since come to the conclusion that seeing Pendulum dowsing is an ancient art of accessing information not available to us through the use of our senses there are no hard and fast rules. So how do you do this, well I hold what-ever I am using between my thumb and forefinger and have my arm to my elbow close to my body so the pendulum is hanging, then I ask it a yes or no question. 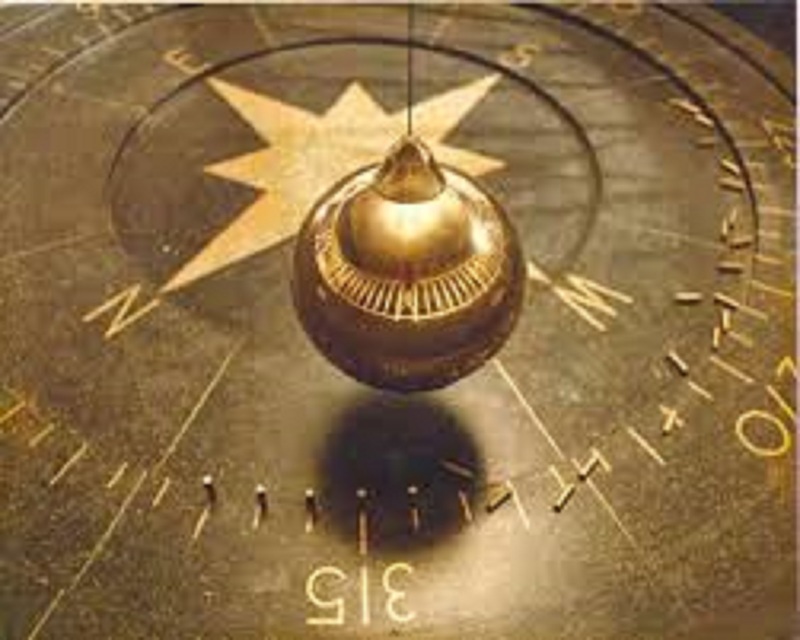 Now I know what ways my pendulum will swing for me – meaning I know when it says ‘Yes” or “No.” If you are new to this, you have to work out what ways the pendulum will swing for those 2 commands. So all you do is ask “Show me Yes” and wait for it to swing in a direction – remember which way, then ask again “Show me No” and watch as it shows you the direction of know. I find for me the Yes command is a circle around and around, and a no command is swinging back and forth – But as I said before, each one of us is an individual, so you much work out which way the pendulum swings for you. Pendulum dowsing is much more than asking yes and no questions, but this is the basic dowsing that you need to learn and get really good at first. Once you get used to the basics and incorporate it into your daily life, you can start to get more in depth if you wish, such as over maps and charts, to find ley lines, or finding lost objects or persons in relation to a map or chart, finding water and minerals just to name a few. If you want to find water, I have been told a diamond pendulum is ideal. There are a few other fantastic crystals you can use. 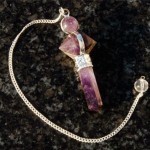 A rose quartz dowsing pendulum is very good for chakra healing and for dowsing on emotional matters. Bloodstone when dowsing for answers concerning money, financial or legal outcomes. Moonstone dowsing pendulum is very good when you want to connect with higher level beings and for issues dealing with emotions and relationships. Smoky Quartz dowsing pendulum to find answers dealing with depression (cause or treatment) and other emotional issues.